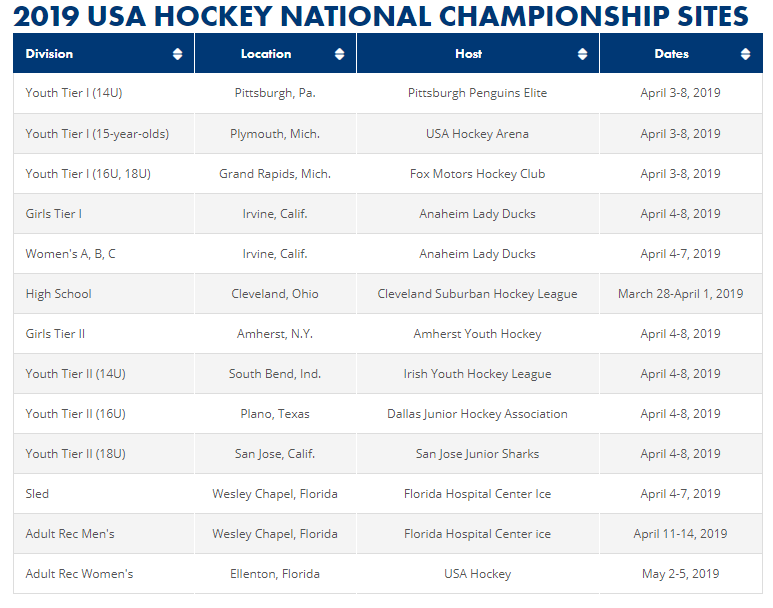 The 2019 USA Hockey National Championships will mark the 70th anniversary of USA Hockey crowning the nation’s best in youth hockey, a tradition that dates back to 1949 and the inaugural national championship tournament for players “under the high school age” held at Madison Square Garden in New York City. Chicago’s Team Easton Claims Silver in Tier 1 Men’s 50 and Over USA Hockey Nationals in Tampa! St. Norbert College announces their Men's ACHA Spring Prospect Skate. See flyer for complete details.